Mike Bird has the details. In Japan, All That Matters is… erm, “Structural Reform”? 9. Japanese output had grown by 0.9% in the first quarter. It was probably too soon for that to have reflected the impact of recent announcements on fiscal and monetary policy. A durable improvement in nominal demand growth would depend in part on the third aspect of the Japanese policy package – structural reform – but there was as yet little detail on the form that that would take. That’s a bit scary to read. 1) They believe so much in those “long and variable lags” that they are inclined to dismiss contrary evidence even when it is staring them in the face. And it sure is a good thing our policy-makers carefully studied the Great Depression and what happened to US industrial production in the months after FDR devalued, otherwise we’d really be in trouble. Oh, wait. 2) The path of Japanese nominal GDP depends “in part” on… supply-side policy? Erm, really? What can that mean? That the Bank of Japan does not determine the level of Yen-denominated values even in the long run? Is it a statement of policy – that the BoJ could raise NGDP but it would not be “durable” (“only inflationary”?) unless the government also does supply-side reform? 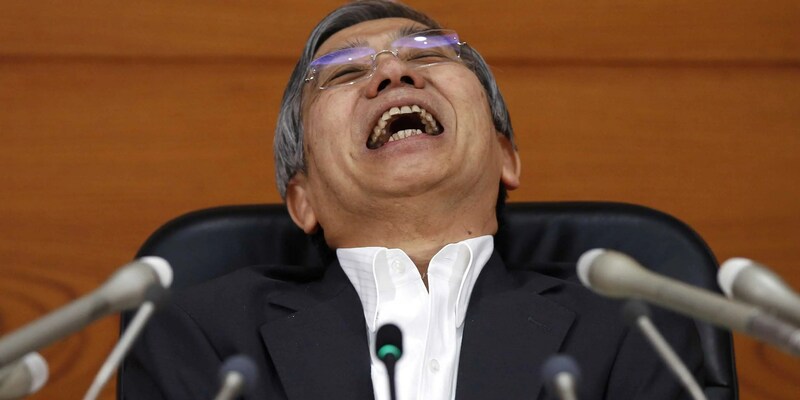 Or is it an endorsement of “creditism”, the BoJ is “impotent” unless mumble mumble banks mumble financial system mumble mumble deleveraging mumble? Any better ideas? Somebody send nine copies of Bernanke (1999) to Threadneedle St., pronto. From the summary of “Basic Policies for Economic and Fiscal Management and Reform” from the Cabinet Office in Japan – what macro policy vision does Abe’s Cabinet have? • Under the conditions specified above, it is expected that nominal gross national income (nominal GNI) per capita will grow by more than 3 percent in the medium- to long-term, resulting in an increase of 1.5 million yen or more in 10 years. A longer policy document is also available. A different member noted that one possibility would be to immediately put into effect the open-ended asset purchasing method, followed by an extension of the Bank’s projection period by one year, and continue with the virtually zero interest rate policy, as well as the asset purchases, until the median of the Policy Board members’ CPI forecasts exceeded 1.5 percent. However, these two members said that they were simply raising these issues at this meeting and would follow the majority view of the Policy Board. Let’s hope Haruhiko Kuroda can move the “majority view” towards this oh-so-radical idea of “targeting the forecast”.